Brand new property. Cozy, with all the comforts of home. Maria (the owner) is extra nice and helpful to make sure we had a pleasant stay. Excellent location a few minutes walk from Achladies beach. Away from the busyness of the town, yet relatively close. Close to bus station, with a few restaurants and mini-markets within walking distance. Mrs. Maria was on top of everything and extremely helpful- a wonderful host. We had a bootle of delicious Greek wine waiting for us upon arrival at the fridge! The place was brand new, the house is 2 min walk from an amazing beach and 10 min from the main town with a car. Big balcony, laundry room and beds that were very comfortable! And Mr. Achilleas was a sweat heart as well! Thank you so much!!!!!! Very easy and pleasant contact with Maria, the owner, after the booking process completed online. 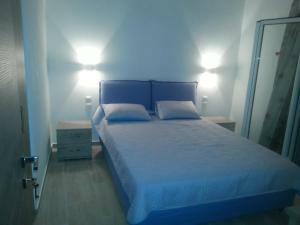 Comfortable beds and well appointed modern apartment. Little touches like the beers and water in the fridge, the first aid kit and coffee machine were appreciated. 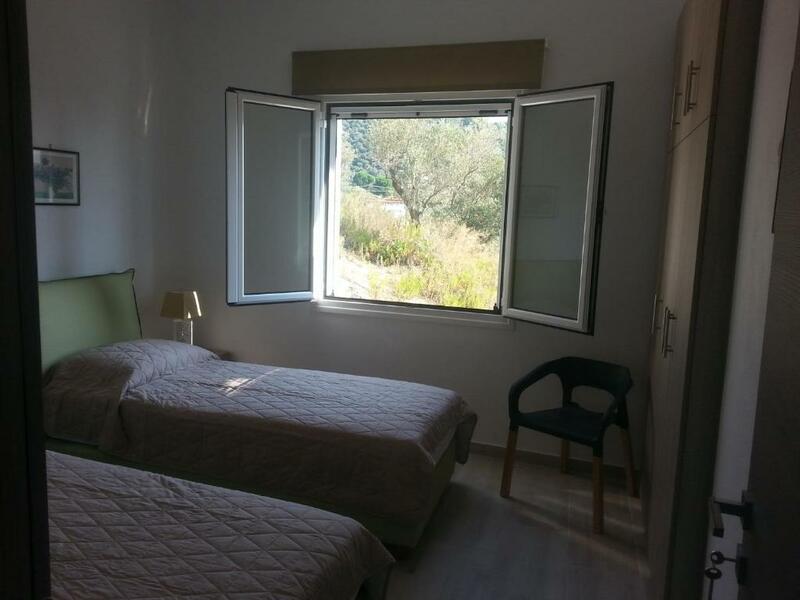 Lovely and clean with plenty of spare bedding and towels (no maid service, which we actually liked, so change your bedding etc when you need to) Nice sea views from front bedroom and balcony and conveniently located for the beach, tavernas and supermarkets. Will definately stay again. The hosts were very kind. The apartment is modern and clean and has everything you need, incl. washer, iron. We liked the spacious terrace, it has a nice view too. Easy parking in the villa. Shop and cafe were across the street. casa spaziosa ben arredata con un grande terrazzo vista mare, cucina attrezzata e lavanderia, letti comodi. Tutto è stato perfetto. La proprietaria molto gentile e disponibile. Consiglio a tutti questa casa. Lock in a great price for Villa Bloom – rated 9.7 by recent guests! One of our best sellers in Achladies! Located in Achladies, Villa Bloom has accommodations with a seating area and a kitchen. Complimentary WiFi is provided. Fitted with a terrace, the units offer air conditioning and feature a flat-screen TV and a private bathroom with a hair dryer. An oven and microwave are also available, as well as a coffee machine. If you would like to discover the area, skiing and snorkeling are possible nearby. Skiathos is 2.4 miles from the apartment, while Loutraki is 10 miles away. 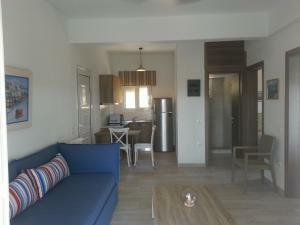 The nearest airport is Skiathos Airport, 4.1 miles from the property. This property also has one of the top-rated locations in Achladies! Guests are happier about it compared to other properties in the area. This property is also rated for the best value in Achladies! Guests are getting more for their money when compared to other properties in this city. When would you like to stay at Villa Bloom? This villa has a washing machine, air conditioning and seating area. Skiathos Villa bloom set among olives and pines trees at the bottom of a hillside overlooking the Agean Pelagos only 2 min on foot from the fabulous beach of Achladies. It is the ideal place for families and friends to enjoy having their holidays. Contemporary-styled,2 separate bedrooms , with spacious terraces from which one can enjoy amazing sunrises and unbelievable moonlights. Villa bloom is hidden few meters from the main road of island (skiathos-koukounaries) and is easily accessible by car, by bus (10 th stop) or even by boat sailing from the ACHLADIES BEACH to SKIATHOS TOWN. We have the Villa Bloom totally renovated and newly equipped and we are waiting you to stay and enjoy an unforgettable holidays. Welcome to SKIATHOS VILLA BLOOM!!! we are looking forward to seeing you at Villa Bloom in achladies beach of skiathos!!!! enjoy swimming,relaxing,sunbathing, having water sports at achladies beach ,nightclubing and exploring the SKIATHOS ISLAND beauties. House Rules Villa Bloom takes special requests – add in the next step! Please inform Villa Bloom of your expected arrival time in advance. You can use the Special Requests box when booking, or contact the property directly using the contact details in your confirmation. A bit difficult to make a left turn out of the property with a car, but not that bad. We liked everything. Maybe an AC in the 2nd bedroom could be nice as an improvement, although there was a fan and it was ok.